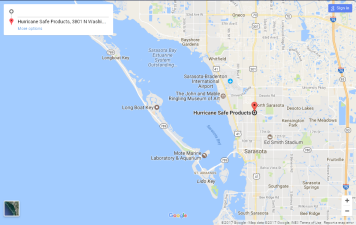 Garage Door Braces for Sarasota, Bradenton & Venice, FL. Do you need to reinforce your garage doors? We can help with our Garage Door Braces. The product is a vertical bracing system made from high quality aircraft-grade aluminum that attaches to the inside of the garage door. We also offer products by: Hurricane Master by DAB.